…and that’s just getting started! When introducing SharePoint, start with something that will benefit all users, and that is easy to manage. Start with Document Management. There's nothing more annoying than frantically looking for a document in a filing cabinet, a co-worker's desk, or in Human Resources only to find that it is stored on your personal hard drive. Would it be easier if you were able to perform a simple search function to find the document? Everyone in the company can benefit from improving Document Management. Here are 6 steps to start SharePoint with document management. All departments should NOT deploy at the same time. Establish a list of departments. Place them in a sequence that suits the company. Then, on-board the first department. Gradually add other departments. In-between each deployment you will have time to work out the unforeseen issues. 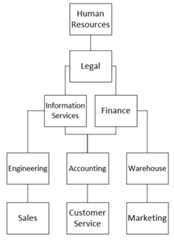 Loop through the remaining 5 steps for each department. Where are documents currently stored? How many documents are stored in these locations? Should any items remain in these locations? Each department will have different needs. Human Resources will have many different needs that Marketing. Make sure to collect all of the needs of each department. Who will author the documents? Will document approval be necessary? Who should have access to view? Who should have access to edit? Who should have access to delete? How long should the document be available? Should the document have a renewal process? Will documents be shared externally? Identify the location where company documents should be stored. SharePoint offers many options for storage. Understanding the use of the file types will help determine where it should be stored. Company files that are consumed by every user should be stored in a Document Center. A project file has limited consumption and should be stored on a project site in a document library. There are multiple locations where documents could be stored. It's important to educate users about where to store their documents. Educating users will help to establish consistent procedures. You’re probably already used to storing files in folders. This option is still available in SharePoint – but you should strongly consider minimizing the use of folders and, instead, use metadata (additional fields that describe files, such as: project name, category, etc). Using this approach makes saving and finding files much easier. 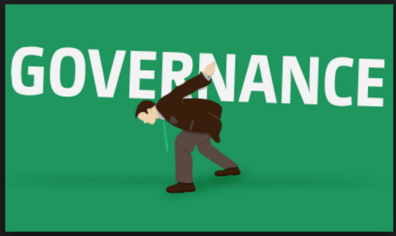 What is governance? Governance is the set of policies, roles, responsibilities, and processes that control how an organization's business divisions and IT teams work together to achieve established goals. What kind of naming conventions are needed? What will the information management policy be for each document type? Are there any federal regulations that govern how long documents should be kept? Who should be allowed to upload documents? Who should be allowed to view documents? Who should be allowed to edit documents? If changes are made to a document are approvals needed? What kind of metadata (described in the previous step) is needed? How many content types are needed? How many documents will be moved from each source? Will any documents remain in their existing locations? Where will documents be relocated? What is the expected start date and end date? Which department will be migrated first? When will file shares be disabled? Communicate your plan to the users. As a general set of rules: (1) Users should migrate documents stored on their personal hard drives to OneDrive; (2) Documents stored on files shares should be migrated to SharePoint; (3) Start simple – minimize new rules to make the transition easy, but built a roadmap to fully leverage SharePoint’s capabilities; and (4) Provide ongoing training and support to your users. Allowing users to search for documents. 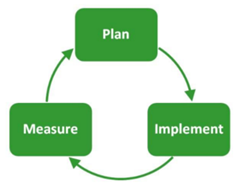 Building consistent procedures across the company for handling documents. Providing a clear designated location for all document types. Protecting content from unauthorized access or use. Contact C5 Insight to start the process of introducing Document Management to your company. 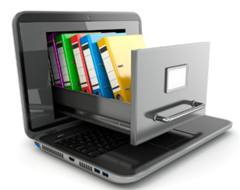 We have a wealth of experience deploying Document Management Systems (DMS).